Stories Of A Happy Mom: Gentle Parenting? Every mother has probably gone through some sort of "crisis" at some point and has probably questioned her parenting methods, communication skills, conflict resolution techniques, etc... I'm obviously the first to admit that having kids is a difficult job and that most days I don't have the answers to many of my kids' questions, or even my own questions for all I know! LOL! While I certainly don't want to be my kids' "friend", I would like to be their confidant and the one person they trust for all their needs... I don't want to be a tyrant parent who abuses her power and authority; our family works as a "team" and my goal is to make sure my girls understand their place in that team, while respecting the position of their mom and dad. First we need to understand the difference between Authoritative and Authoritarian parenting. Authoritative parenting "is a style characterized by parents who are responsive and nurturing, but still hold high expectations for behavior. These parents encourage children to express themselves and share their opinions. While these parents want their children to develop a sense of independence, they still have limits and consequences." Authoritarian Parenting: "these parents have high expectations of their children and have very strict rules that they expect to be followed unconditionally. People with this parenting style, often utilize punishment rather than discipline, but are not willing or able to explain the reasoning behind their rules." Once I realized what kind of parent I wanted to be, I decided to get informed and start grabbing those concepts that sounded most appealing to me! Even if I parent my kids in an "eclectic" fashion, I want to make sure that I'm always trying my best to nurture them and show them this overwhelming love I feel for them. To me, "gentle parenting" is the way to go; I will admit that now I don't believe in punishment and rewards, and I think they are rather detrimental to a child's emotional health. 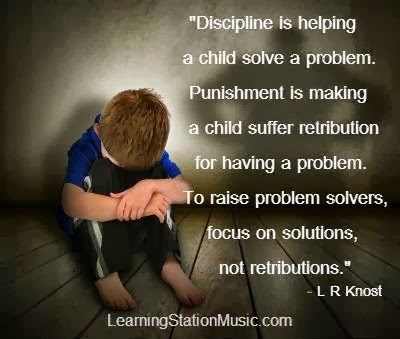 According to many concepts such as "Love and Logic" and "AHA Parenting", punishment just doesn't work and it's not considered a form of discipline. Most young children are simply unable to connect their actions to the punishment or even the rewards they receive. When you punish a child, you take away the discipline aspect of it because there often isn't a logical explanation attached to it; children don't need to be punished...they need to be loved and validated. I am in no way saying that you should let your child walk all over you, but instead of taking away a toy, or putting him in time out chair, I think a conversation that involves a brief analysis of the consequences of his actions, is MUCH better than making him waste precious childhood time "paying the price" of a mistake. As adults, we are encouraged to learn from our mistakes, so why aren't children treated the same way? I've never seen an adult sitting in time out, or missing out on his favorite activity after making a mistake (although some adults practice self-punishment), so I definitely dont' believe we should do it to kids. I also don't believe we should reward children for doing what they are expected to do. Why give them a prize when they do good in school? Aren't they supposed to be getting good grades? Why give them a token when they make their bed and clean up after themselves? Isn't that expected of them? Ever since I started practicing these concepts, my kids' behavior has improved significantly; they have become more aware of the consequences of their actions and responsibilities, they are more verbal and self-confident and most importantly they trust me and respect me more. I am no longer the mother that punishes them and gets mad at them, but rather the person that validates their feelings and helps them grow as individuals who can take responsibility for their actions. I now take the time to say "why did you do that? ", "do you think it's right? ", "why is it not right? ", "how can we change it? ", "what would happen if you did this", "are you sure that's the correct decision"? and many more questions that encourage them to take a look at themselves and move forward instead of moping over a mistake. And even though this parenting style might not be appealing to everyone, I can attest to its effectiveness by describing the great impact it has had on our family and our children. Kids are smarter and way more capable of reasoning that we make them out to be, and it is important to be aware of this as a parent and an educator. We need to make every effort to raise emotionally healthy children, who will be mature enough to make the right choices in life and assume the consequences of their mistakes. Here is a picture that sums up my thoughts on punishment vs. discipline..
Also, here are some book recommendations for anyone who is interested in learning more about "gentle parenting"
Thanks for reading! 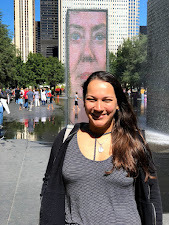 Happy Parenting!...and Happy Blogging!